The first days of spring in parts of the Northeast will look a lot like the last weeks of winter. 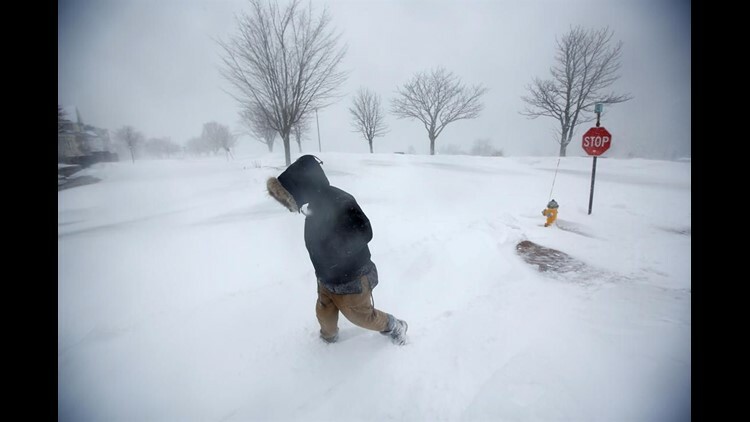 PHILADELPHIA (AP) — The first days of spring in parts of the Northeast will look a lot like the last weeks of winter. The National Weather Service says a powerful storm packing heavy, wet snow and strong winds could dump up to 18 inches (about a half-meter) of snow in some locations on Wednesday, the fourth nor'easter to smack the region in three weeks. The bulk of the dangerous, wind-driven snow and sleet is expected to wallop New Jersey, Maryland, Delaware and parts of eastern Pennsylvania before heading off to Nantucket early Thursday. A foot (0.3 meters) to 16 inches (0.4 meters) of snow is forecast in New York City; Philadelphia could get slightly more. Coastal flood warnings are posted for shore communities. Sleet and freezing rain are expected by Tuesday afternoon, the first day of spring. The mixed precipitation should turn to all snow by late Tuesday and continue through most of Wednesday. Widespread power outages are possible, especially Wednesday, with gusts blowing up to 35 mph (56 kph). Officials are cautioning against unnecessary travel Wednesday afternoon and evening, when snow could be falling as much as 4 inches per hour. It's also not yet clear where the heaviest snow bands may develop.